Introduction: Surgical intervention has established a vital role in the management of chronic headaches. The lesser occipital nerve (LON) is a common target in patient suffering occipital neuralgia and is often resected as a first line option. 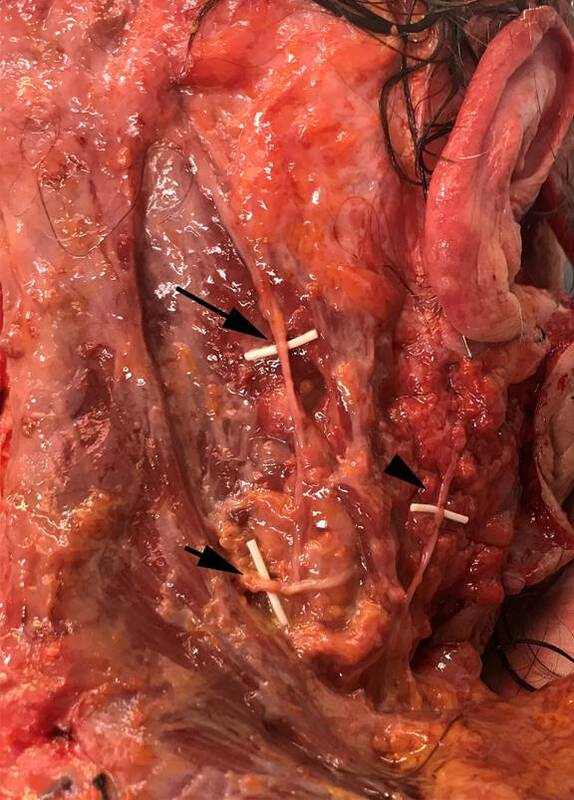 We endeavored to define the relationships of the LON in the posterolateral neck to facilitate its safe and rapid intra-operative identification. Methods: Seven fresh cadavers (14 nerves) were dissected (Figure 1), and its relationships to the mastoid prominence and nearby spinal accessory nerve (SAN) and greater auricular nerve were notes. 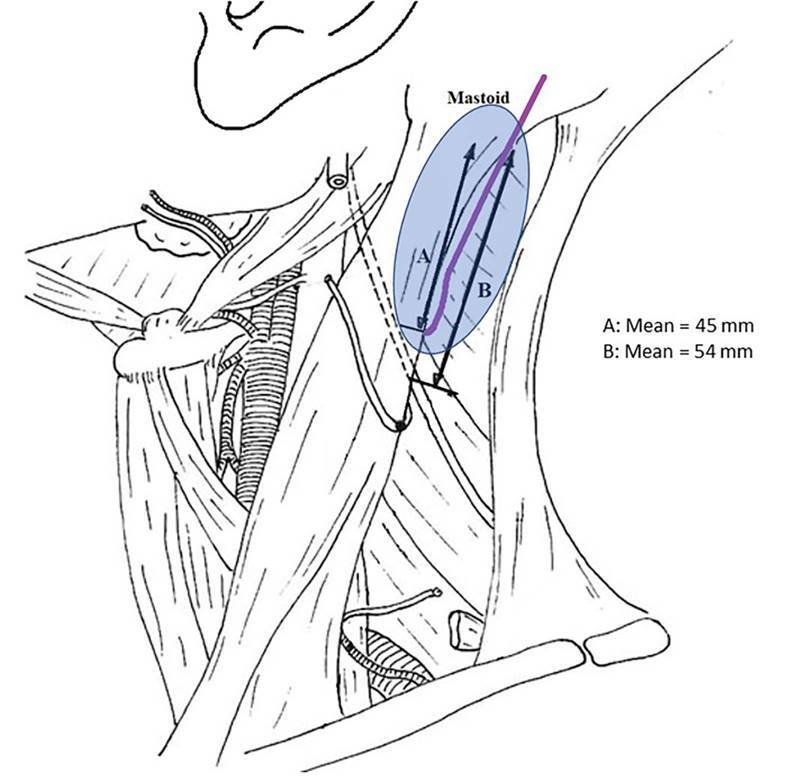 Results: The distance from the mastoid to the emergence of the LON along the posterior sternocleidomastoid ranged from 36 to 51 mm (mean 45.2 mm), with relative symmetry between the two nerves in the same cadaver. The SAN emerged an average of 54 mm from the mastoid prominence. Discussion: Exploration for the LON should begin at a point about 40 mm from the mastoid prominence along the posterior boarder of the sternocleidomastoid muscle (Figure 2). If the point of exit of the LON is not identified within 10 mm of this exposure, our dissection continues cranially along the posterior boarder of the sternocleidomastoid, anterior to the trapezius. In rare cases the nerve may piece the fibers of the muscle and ascend directly on top of the muscle belly. By limiting the caudal extend of the dissection, we can avoid exposure of the SAN and minimize the risk of iatrogenic nerve injury.